Introduction. Heat treatment of food provides appropriate shelf life and safety, as well as adequate sensory properties and better digestibility, but excessive thermal processing leads to the loss of nutritive value. In practice, sterilised meat products are usually overheated, which leads to a loss of nutritive value. Therefore, it is necessary to find the optimum between the preservative effect of heat treatment and maintenance of the nutritive value of food. Control of the sterilisation efficiency is based on the Fo value, an indicator of the lethal effect of heat treatment, while the cooking (Co) value indicates a reduction of the nutritive value of heat treated products. Materials and Methods. During pâté sterilisation processes, two working heat treatment regimes were used: the regime used in regular, commercial production and an optimised regime. Heat treatment measurements were carried out using six thermocouple probes placed in the geothermal centres of six chosen cans. For each heat treatment, schematic diagrams were produced. Fo values were determined using Ellab software, and Co values by the graphic method in a semi-logarithmic Thermal Death Time diagram. Results and Conclusions. During pâté sterilisation, where the effective time was 55 minutes (regular regime) at 114 °C and 3.2 bar pressure, an average Fo value of 7.90±0.43 was achieved. By reducing the effective sterilisation time to 45 minutes (optimised regime), an average Fo value of 3.81±0.5 was achieved. Both regimes were sufficient to ensure product safety (Fo >3). The average Co value for the regular sterilisation regime was 109.83±1.33 minutes, while for the optimised regime, it was 88.67±4.27 minutes, i.e., an average reduction of 19.26%. This corresponds to a proportionally higher nutritional value of the product treated using the optimised regime. Data on the Fo and Co values achieved during the sterilisation process can make a significant contribution to obtaining products with a better nutritional value through an optimised sterilisation process, without jeopardising product safety. Anonymous 2015. Rule book on quality of minced meat, meat preparations and meat products, Official Gazette RS, no. 94/15. Anonymous 2011. Guide for the application of microbiological criteria for food, Ministry of Agriculture, Forestry and Water Management of R. Serbia, Belgrade, RS. Codex Alimentarius 2011. Code of hygienic practice for low and acidified low acid canned foods (CAC/RCP 23-1979), Accepted 1979. Revised 1989 and 1993, editorial corrections 2011. Nitsch P, Vuković I, 2002. Computer procedure for the quick determination of the f-value based on the Gaussian integration, Fleischwirtschaft 82 (11), 122-123. Prochaska JL, Nguyen TX, Donat N, Piekutowski VW, 2000. Effects of food processing on the thermodynamic and nutritive value of foods: literature and database survey, Medical Hypotheses, 54, 2, 254-262. https://doi.org/10.1054/mehy.1999.0030. Rubén Agregán, Daniel Franco, Javier Carballo, Igor Tomasevic, Francisco J. Barba, Belén Gómez, Voster Muchenje, José M. Lorenzo, 2018. Shelf life study of healthy pork liver pâté with added seaweed extracts from Ascophyllum nodosum, Fucus vesiculosus and Bifurcaria bifurcata, Food Research International, 112, 400-411. https://doi.org/10.1016/j.foodres.2018.06.063. Surak J, Wilson S, 2014. The Certified HACCP auditor Handbook, Third edition. Milwaukee, Wisconsin: Quality Press. 2014. eBook., Database: eBook Academic Collection (EBSCOhost). Teodorović V, Karabasil N, Dimitrijević M, Vasilev D, 2015. Meat preservation methods – heat treatment, Meat hygiene and technology, Faculty of veterinary medicine, University of Belgrade, 348-352. Vuković I, 2012. 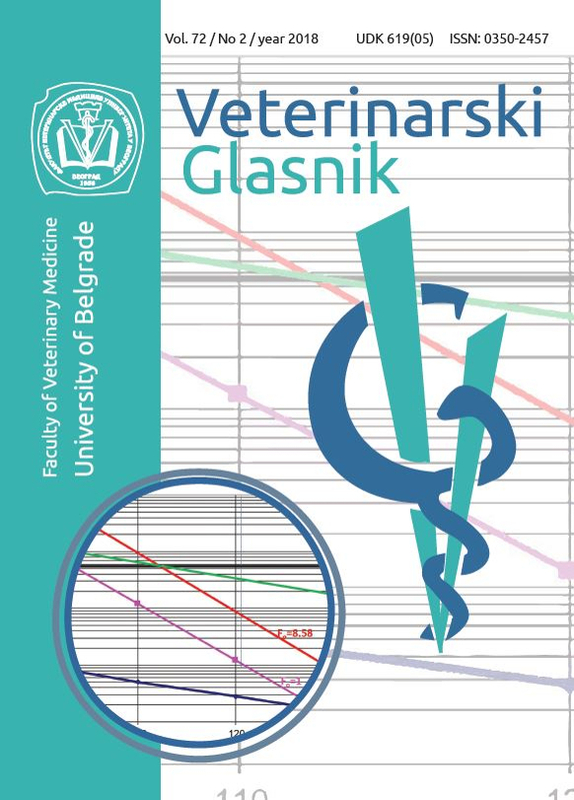 Basics of Meat Technology, 4th edition, Veterinary Chamber of Serbia, Belgrade.